Vitex has become one of the most widely relied-upon botanicals in American and European herbalism. 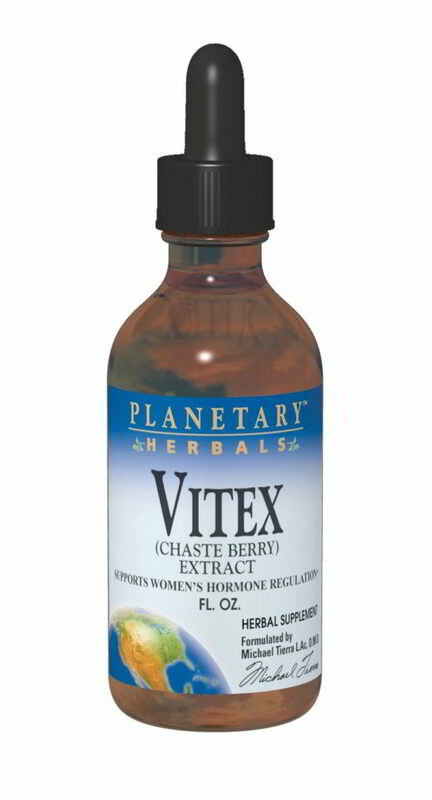 Vitex modifies the effect of the hypothalamus and pituitary glands. This helps regulate and balance female hormone production. 1/2 teaspoon 2 to 3 times daily in water or juice. Other Ingredients: grain alcohol (50%) and purified water. Warning: Do not use if you are pregnant, may become pregnant, or breastfeeding.